As Fall begins, so does that age old tradition in so many houses all over America. Another season of football’s finally underway, and with it- so are some of our favorite snacks and apps. What is it about football that brings out such a bevvy of total comfort foods and other essential must haves to create that perfect environment for getting into the grid iron action? When did food become such a key component to Game Day, both at home and at home field? I’m not 100 % sure. There are two theories I’ve found though, because these are the random things I google at 1AM when I am in bed trying to go to sleep but I can’t shut off my brain. One school of thought is that it has to do with the first officially recognized major battle of the Civil War. The Battle of Bull Run, right here in my very own home- Virginia. Apparently the battle ended up unfolding like an event, with families traveling from far and wide, setting up shop, and in an old-school form of ‘tailgating’- picnicking while rooting for their particular ‘team’/side. Kinda crazy to think about. The Civil War being the first spectator sport? I’m gonna choose to hope and believe that theory number 2 is actually the correct one. So the second scholastic school of thought (because yes, there are actually people out there who’ve studied the history of everything- including tailgating), is that it comes from the Fall harvest. Football season here in America does coincide with the changing of seasons and the end of Summer harvest. A lot of things wouldn’t have kept for Winter, so there was a big party where the whole community came together enjoying whatever surplus of food there was before bracing themselves for colder weather and a more isolated time of year. At such a big event, before the advent of modern technology, team style games were a big attraction, and organically sprung up. A crowd would gather, with everyone enjoying good food, camaraderie, and of course rooting for whoever there people were on whichever side of the ‘line’. Whichever school of thought is actually correct, when American football began (as we know it) in the 1920’s & 30’s, the tradition of enjoying good food while engrossed in the game certainly stayed true. Whether we’re able to be at the field tailgating in person, or we find ourselves piled up on the couch ‘homegating’ the edible tradition continues in full force, in our house & so many other homes and family’s, all across the country. Typically, you’ll find some pretty hearty fare- burgers, dogs, hoagies, and the like- plus a wide array of sides. You’re also almost guaranteed to find a smorgasbord of appetizers. There’s nothing worse than a restless crowd, and apps are a great way to get into the festivities before the main event. 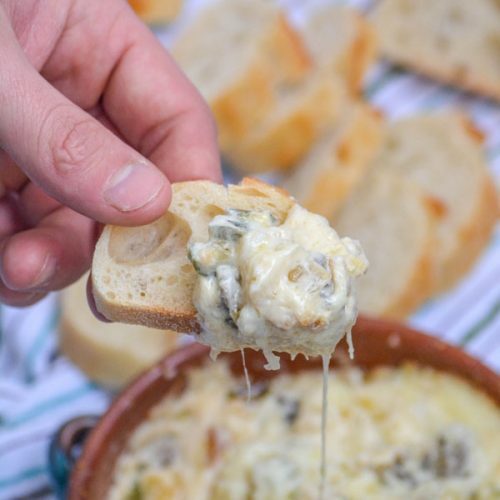 A solid dip recipe in these circumstances can save a friendship, especially if you’re already rooting against each other’s teams. 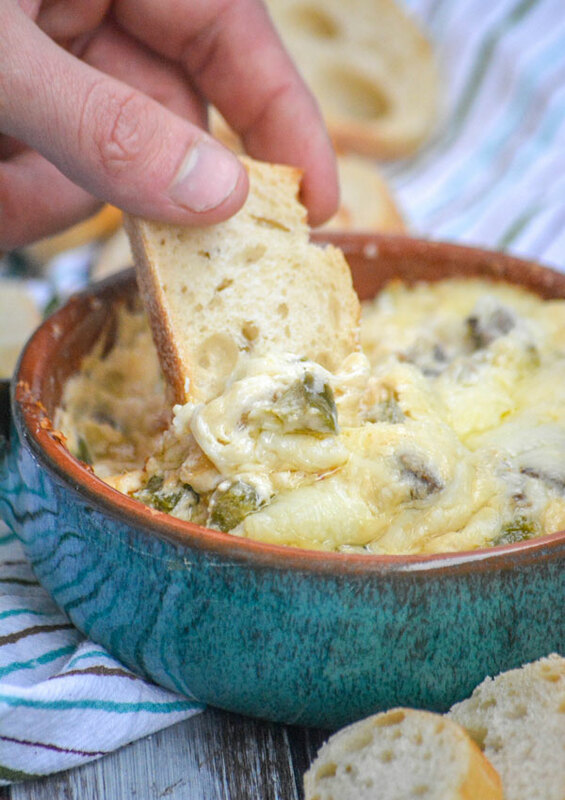 You won’t find a better dip for your Game Day celebration than in our Philly Cheesesteak Dip. 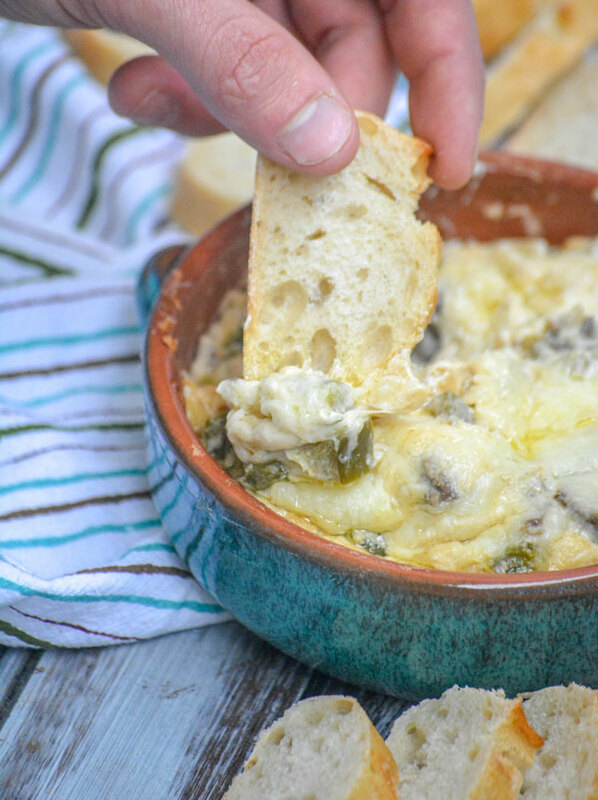 Creamy, melted cheese perfection- this Philly Cheesesteak Dip is studded with savory chunks of grilled steak, and sauteed green peppers & white onion. 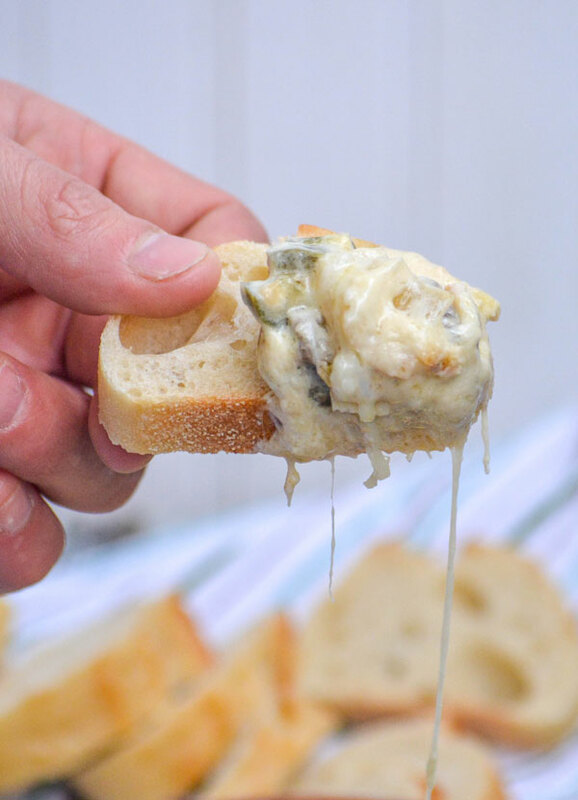 It’s a bit of the fan favorite sandwich in every single bite, but dippable. Making it the perfect finger food for hungry guests while you wait for the main event. 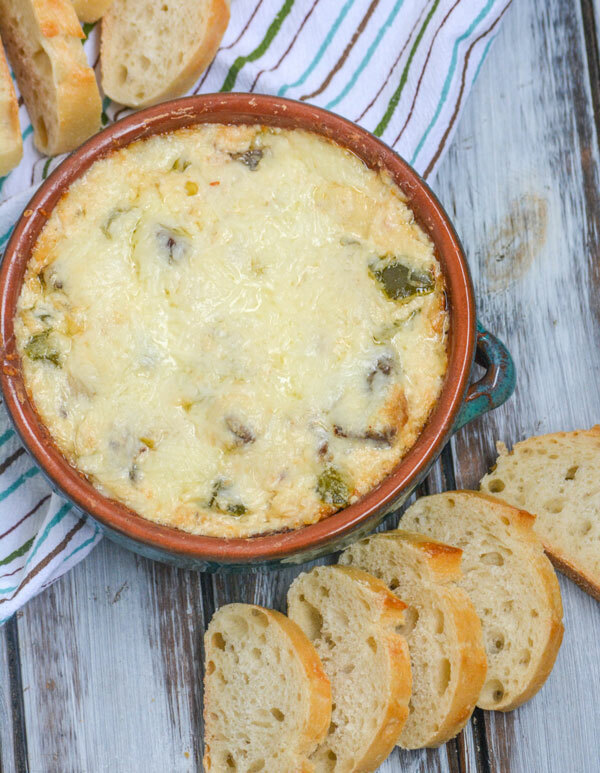 Be the hero of any gathering by serving this addictive dip as part of your party spread. It’s one thing that won’t divide your guests, regardless of which team you’re routing for, but bring them together (across Football lines) with just how good it really is. 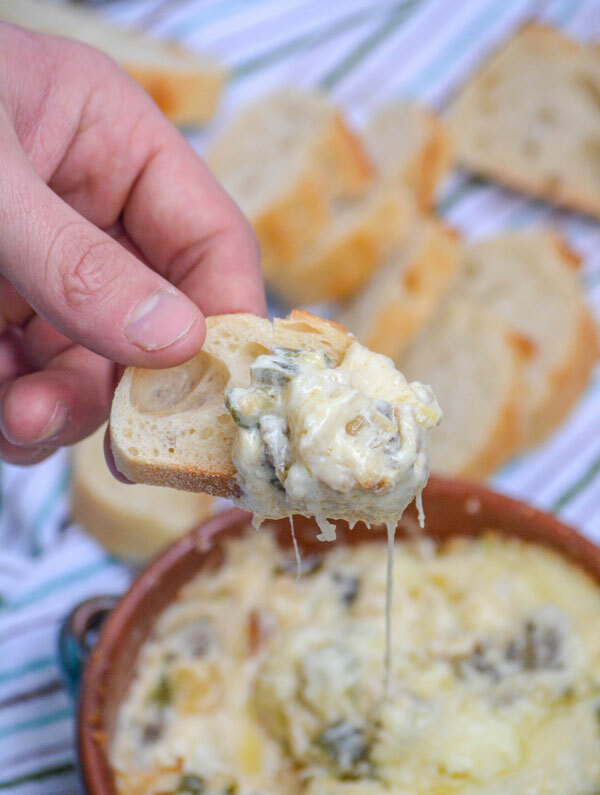 An easy, skillet dip that takes the flavors of your favorite sandwich & turns it into a fan favorite finger food for game days & parties. In a medium sized skillet, heat the olive oil over medium high heat. Add the onions & peppers, and cook- stirring occasionally- until sauteed. Set aside. In a medium mixing bowl, stir together the cream cheese, mayonnaise, cheese, and steak until evenly combined. Add the cheese mixture to the skillet, stirring to incorporate the sauteed peppers and onions. 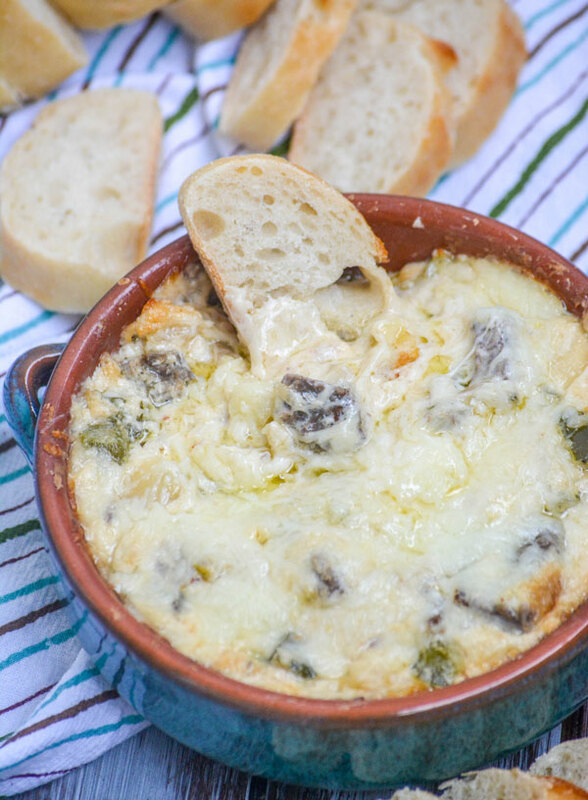 Bake the philly cheesesteak dip at 350 degrees for 20-25 minutes. Remove from the oven, and serve immediately with chips, sliced baguettes, or even your favorite crackers. Recipe shared HERE & HERE. Sounds absolutely delicious! Thanks for sharing this at Fiesta Friday!